After installing the rear rack the back of the bike was looking unfinished. 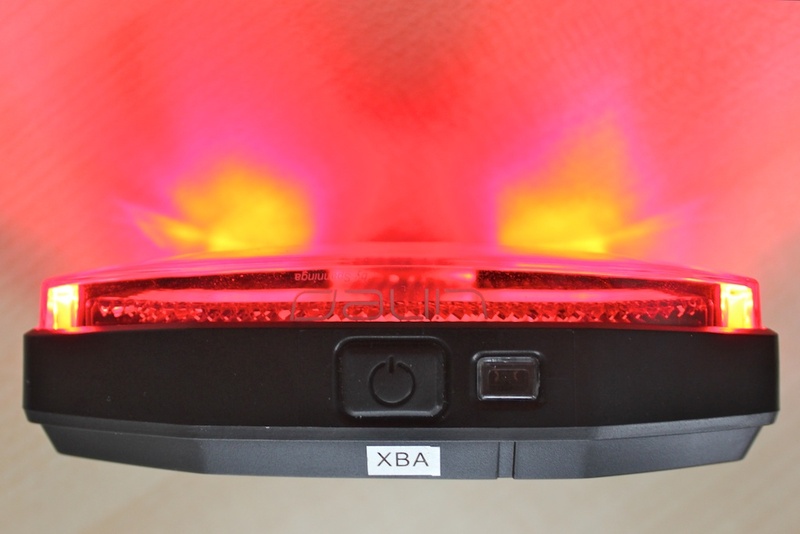 What it needed was a rear light, but which one? Luckily I am not the first to wonder. 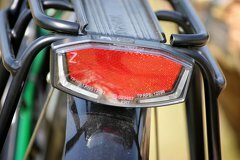 Another Dutch guy already reviewed many bicycle lights, and did an excellent job at it too. 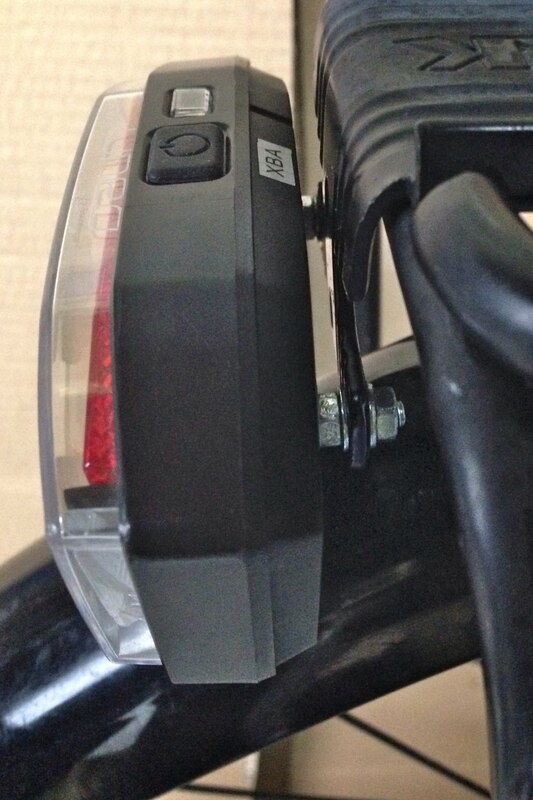 It turns out that most rear bicycle lights are pretty mediocre. 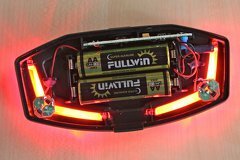 The Philips Saferide Lumiring is one of the few that gives an acceptable amount of diffused red light in the right directions. However, it is not very easy to find the battery version. One web shop stated that they did not sell it anymore because of quality issues. I also find it a bit expensive for a rear light. The Spanninga Lineo was rated as one of the better lights among the mediocre ones. At just under 15 euros it is also more reasonably priced. 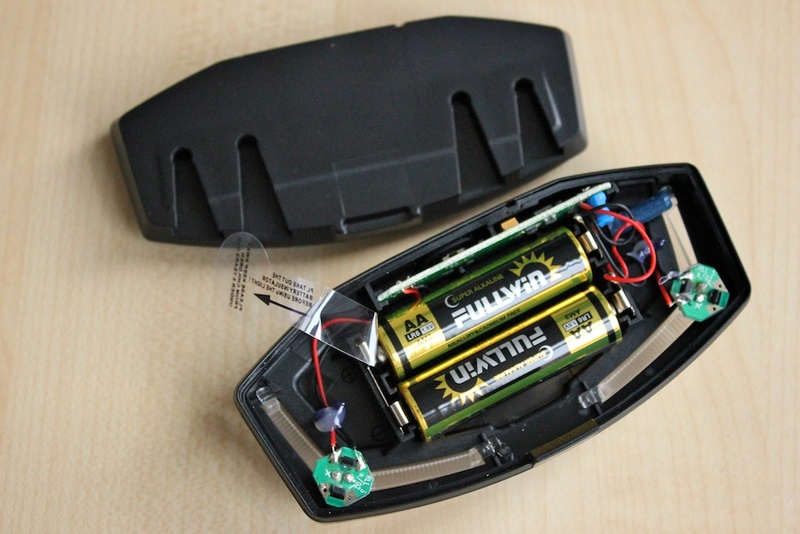 It even comes with 2 AA batteries installed which should last 185 hours according to the manufacturer. Surprisingly, on its website the manufacturer mostly focuses on the appearance (and I don't mean visibility), as if it some piece of fashionable lifestyle gadget. I find this puzzling and to be honest a bit appalling. 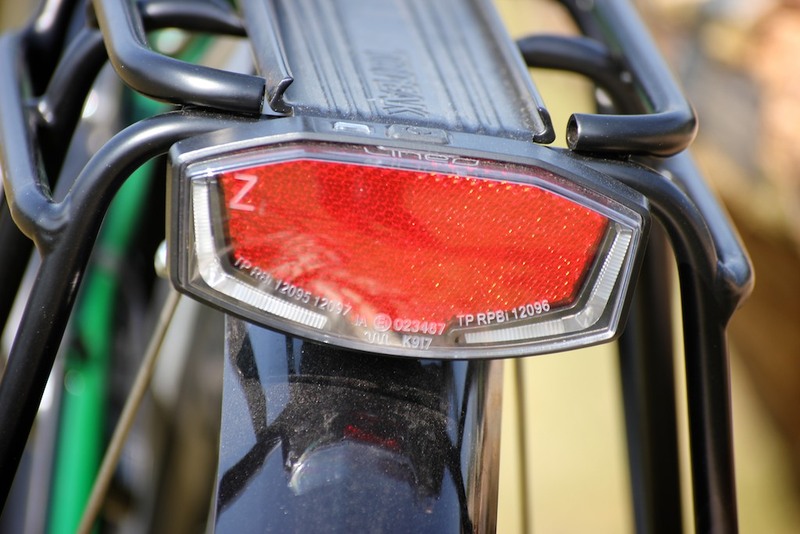 Bicycle lights are safety equipment. Emphasizing the looks so much makes it seem like safety is an afterthought. Considering the fact that the light produced by most lights is hardly satisfactory manufacturers should focus on improving that aspect instead. Nevertheless, I must admit that I find the design of the light is quite pleasing. 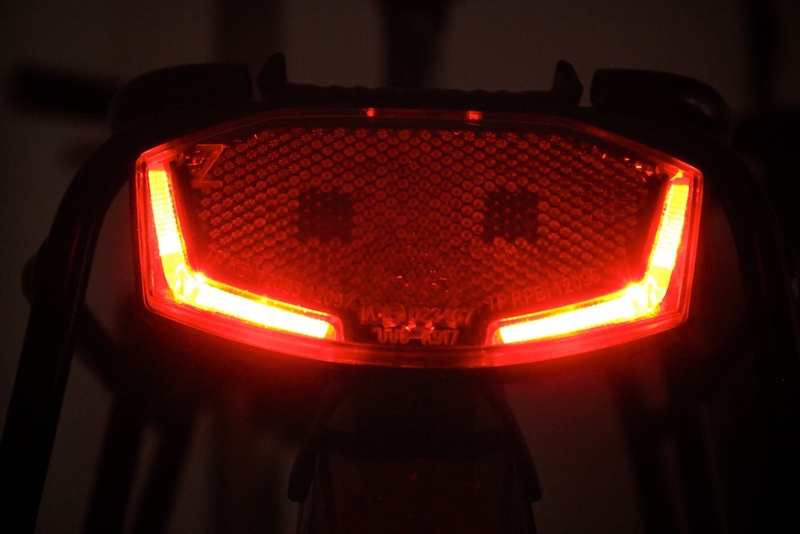 According to some, the light strips look somewhat like car lights, I see them as glowing red eyes. Because the light is below the reflector it is still visible when luggage is sticking out from the rack. The light is marketed for city and trekking use, which is exactly what I will be using it for. It comes in different versions. I got the Xba version which means it is battery powered and has a motion and light sensor that makes it automatically turn on and off as needed. The Xb version is a little cheaper and does not have the light and motion sensor, but is the same in every other way. The front is encased in a transparent plastic housing that acts as a light guide to make the light visible from the sides, but also makes it easy to wipe off any dirt. There is a thin silicon band that seals the back. The seal is not exposed, and the casing closes with a satisfying snap. I am confident that no water will get in, unless it is submerged. There is only one button the top, it is placed exactly in the middle and is nice and rubbery with a distinctive click that you can hear and feel when pressing it. You need to press deeper than the Sigma Eloy so there is less risk of accidentally pressing it. Next to the button is a low battery indicator which blinks when the battery needs to be replaced. With both the original alkaline, as my own batteries the indicator starts blinking long before the battery dies. I have been able to get at least a month of use out of it. Which is at least five hours. Pressing the button again after turning on the light turns it to automatic mode. The light will flash quickly 5 times to confirm this. In automatic mode it will automatically turn on when it is sufficiently dark and motion is detected. The motion detector is very sensitive. Simply touching the bike is enough to set it off. Even while standing still with your bicycle small movements will still keep it from turning off. When no motion is detected it shuts off after 25 seconds. 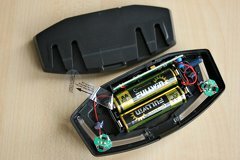 The light sensor is also quite sensitive and will turn the light on basically in tunnels and overpasses on cloudy days. There are no tools required to open the light and replace the batteries, but it is closed quite tightly and the first time I tried I had to double check if I was doing it right as I feared I might break it. 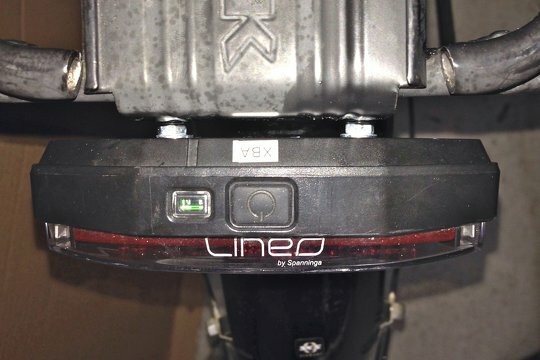 Like most similar lights the Lineo can be placed on racks with holes spaced 50 or 80 mm apart. It comes with two screws with a square head that slots in the back. 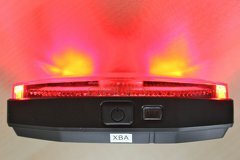 I have seen them being used before for rear lights but I don't know if I could easily find replacements should they ever get damaged or lost. The thread of the screws standard M5 size. It comes with some overlap tooth washers and nuts. I feared that they might scrape off paint or nickel plating and allow moisture in so I used flat washers and self sealing nuts instead. The light produced is very quite bright, as mentioned in the other review it is even be bit too bright for some circumstances, but as it is not a point source it does not blind anybody. However this makes it quite visible during twilight, or in bad weather. Mounted on the rack the light seems to be angled down slightly which also helps. 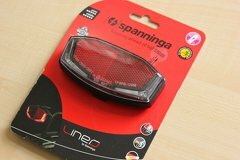 The Spanninga Lineo is simply the best rear bicycle light I have ever used. It does everything it has to do, is solidly built and weatherproofed with some nice extra features. It does not have any annoying (and illegal) blinking modes, comes at an affordable price and most importantly makes your bike look a little more evil. 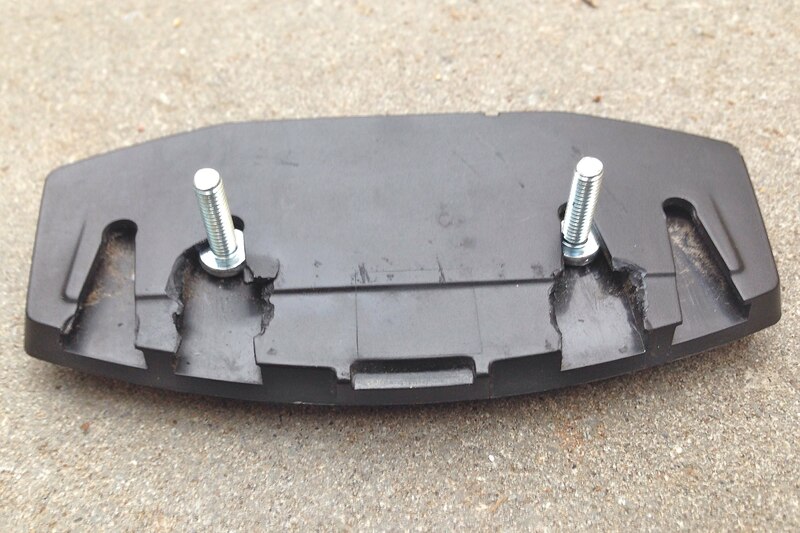 The only downside is the quality of the supplied mounting material. I have had cheaper lights come with self sealing lock nuts and would expect the same here. After using the light for almost two years I don't think I have used it for 185 hours, but am already using the second set of batteries. Nevertheless, one set of batteries per year is still pretty good. The light still works just as good as it did when it was new, and has remained waterproof. In practice I don't really use the automatic mode, so I would probably been equally happy with the slightly cheaper Xb version. If I had to buy another rear carrier mounted light I would buy the Spanniga Lineo Xb (non automatic) in a heartbeat. Packaging is a piece of cardboard with instructions on the back. The back has mounting slots for 50 mm and 80 mm spacing, which is cleverly designed to be waterproof. 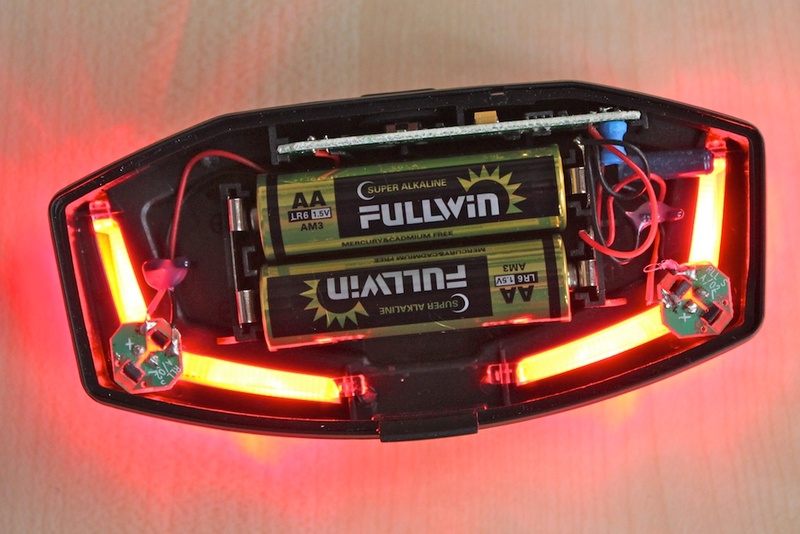 Included AA batteries power 2 LEDs which illuminate the light strips. 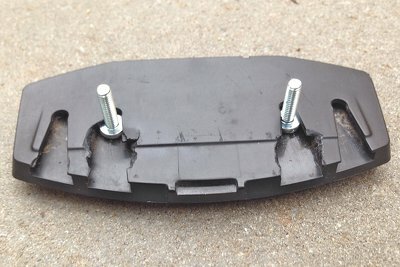 A silicone seal should keep most water out. In the dark the light looks like evil red glowing eyes. The power switch with the empty battery indicator next to it. Light mounted on a Topeak Super Tourist DX rear rack. Update February 2017: I have been using the lights for over three years now. Last year one of them had a problem where it wouldn't turn off anymore. My guess is that there was a short circuit because of moisture, the bicycle has been out in the rain all night when this happened. The problem fixed itself after the batteries where taken out for several weeks it worked again. The light fell off my bicycle. 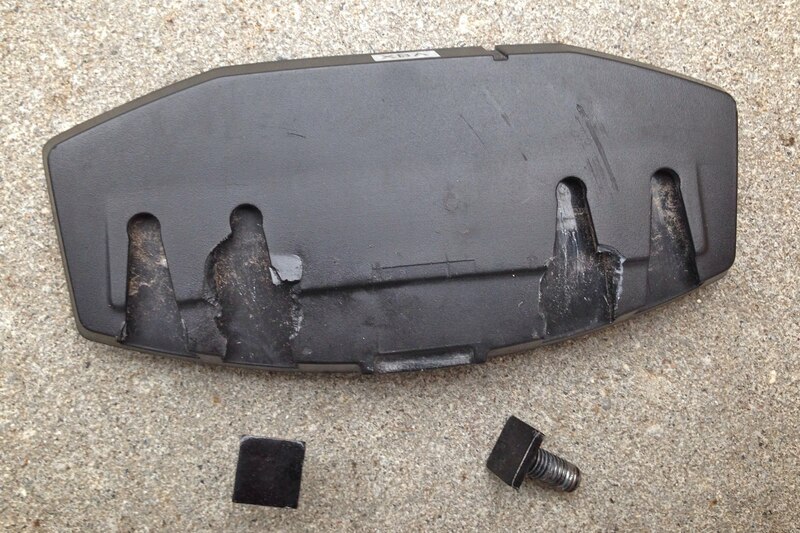 The casing was broken where the square bolts keep it in place. I could not slide them all the way in because the mudguard would push the light up. The light was supported by too little plastic and it broke off. As a fix I considered drilling through the casing, but that would allow water in, and there might not be enough space for the heads of the screws inside. In my collection of screws I had some M3 screws with a rounded head that fit in the slots. These longer screws allow for some extra space between the carrier and light so that they can go in higher into the slots as they provide some extra clearance from the mudguard. With some washers, nuts, grease and threadlocker I was able to mount the light to the carrier again. It seems secure for now. Update July 2017: The light that would not turn off in 2016 is not working anymore. There was some corrosion on the circuit board. I tried to clean it, but the light would not work anymore. I have installed a Spanninga Lineo XB (without light and motion sensors) to replace it. The plastic where the square headed screws held the back has broken off. Some smaller M3 slotted screws with a longer thread fit also. Washers and nuts add some extra space between the carrier and the light. The light is now hanging several millimeters lower than before.